A two-day conference examining President Donald Trump’s rise within U.S. history and how people are talking about U.S. history in relation to Trump is scheduled March 28 and 29 at Rochester Institute of Technology. “The Uses and Abuses of History in the Trump Era” will look at whether Trump’s policies and leadership style are unique within U.S. history, marking an abrupt break with the past, or whether they are predicable outgrowth of various political, economic and social developments that have been long in the making. “Donald Trump’s political rise has triggered vigorous discussion—among citizens and academics alike—about how his presidency fits within the trajectory of United States history,” said Christine Kray, an associate professor of anthropology at RIT and a co-organizer of the conference. “We hope that this conference will provide an opportunity for students, faculty, staff and members of the community to come together, to use the tools of historical and social scientific inquiry, and to carefully explore and consider what the Donald Trump presidency says about the nation, its past, present and future. Tamar Carroll, associate professor and acting chair of RIT’s Department of History, is co-chairing the conference with Kray. She said the conference is also an opportunity to continue scholarly, public conversations with many of the contributors to their edited volume, Nasty Women and Bad Hombres: Gender and Race in the 2016 Presidential Election. Keynote speaker is David Cay Johnston, a 2001 Pulitzer Prize winner for beat reporting, and author of The Making of Donald Trump and It’s Even Worse Than You Think: What the Trump Administration is Doing to America. 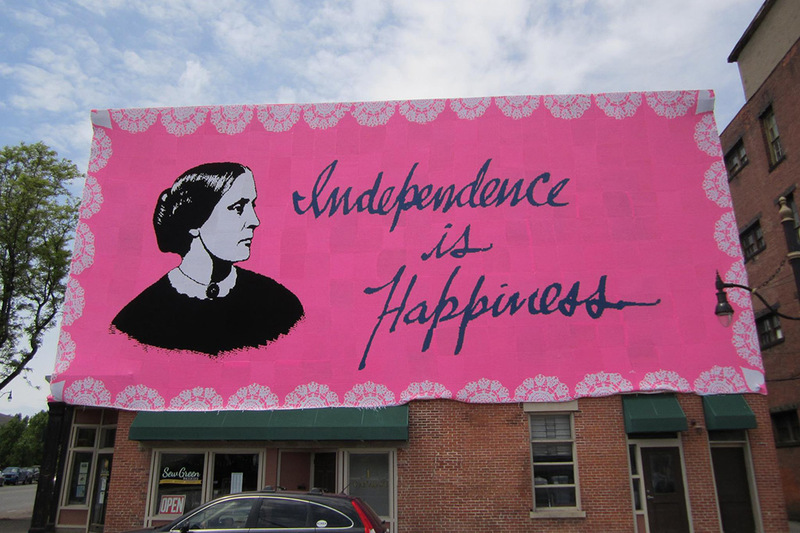 Attendees will also have the option of touring the Susan B. Anthony Museum & House, and Mt. Hope Cemetery, where Anthony is buried. Cost to attend Is $30, but RIT students may register for free. Registration must be made by March 14 to include meals; otherwise, late registrations are welcomed, without meals. The conference is supported by the College of Liberal Arts, the Department of Sociology & Anthropology, the Department of History, and the School of Communication.